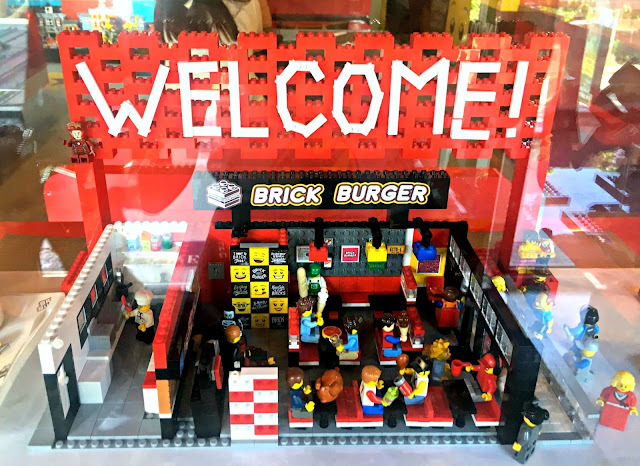 I've been waiting for ages for this lego themed burger joint to open! Ever since I saw their tarpaulin and the picture of their soon to be served burgers, I already wondered on how will they craft that lego looking burger bun.. and if it really looks like that in person. 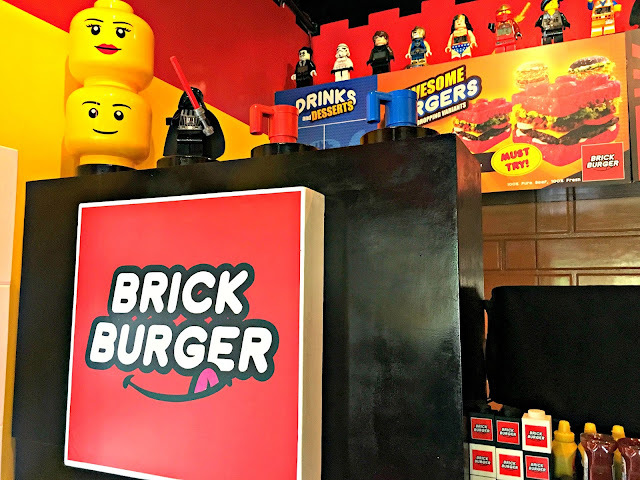 And now that they're open and currently on soft opening, I didn't miss the chance to finally see for myself if this burger joint really serves lego looking burgers and if it really tastes good or it's just all about appearance. It's quite an advantage for me because cool food finds seems to open near our place often this past few months. First. 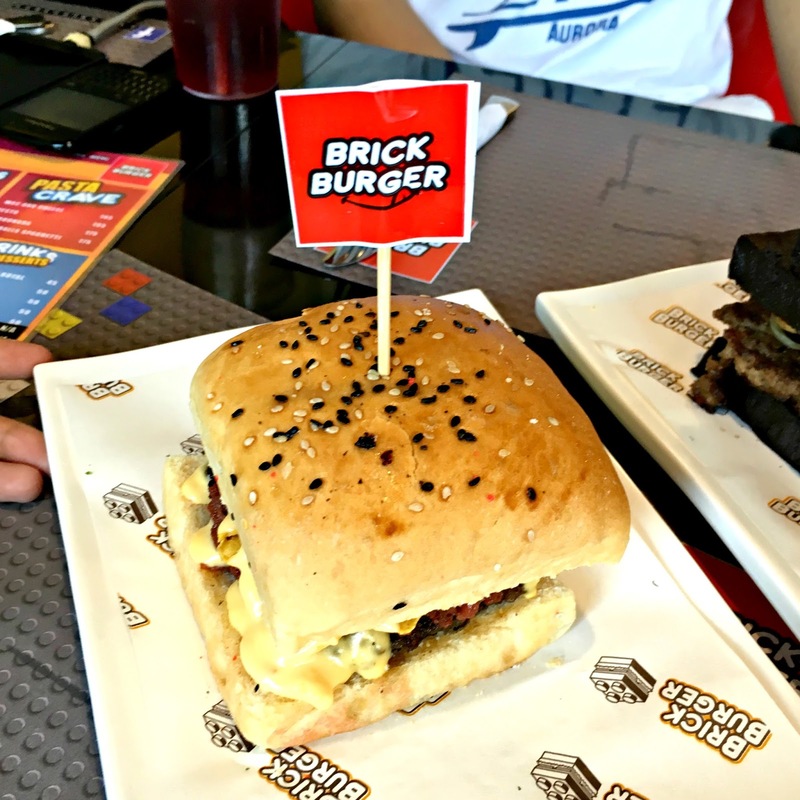 the Shinsen Japanese restaurant (which I hope to blog soon), and now the first lego themed burger in the Philippines. Ever since it opened its doors for food hunters, burger lovers, and most especially to lego lovers.. this place has been quite busy the past few days. I heard they're supposed to be open from 10AM to 10PM but just recently, they adjusted their soft opening hours from 2PM to 9PM. So being on a midshift, I called my boyfriend and asked him to accompany me in trying this new artsy and cool burger joint and have lunch with me. First off, the interiors! From the tables to chairs, to lighting's, to wall decorations, and display stuff.. it is all sooooo on point!! It stayed true to its theme.. It seems everything in here was customized according to the theme of the place. I couldn't find anything out of place except maybe the size of the place because the place gets full and has a long waiting list in just minutes after it opened. Lucky me and my boyfriend, they still have an empty table to accommodate us. 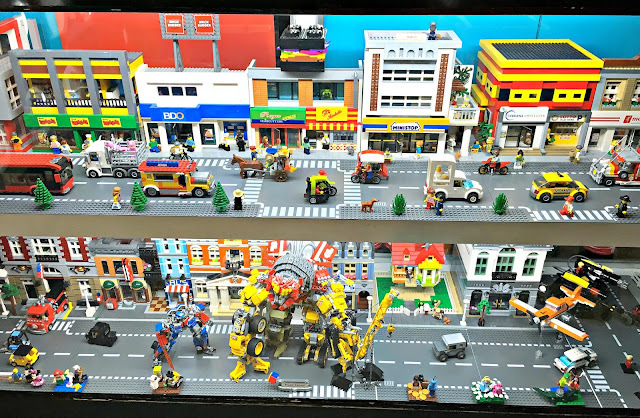 I am impressed with the "welcome" custom lego (first photo in this post) because it's like a mini version of the whole area! It's almost so the same. I am a lego fan since I was a kid.. but not to the extent that I collect different themed legos. I just love playing this when I was a kid and making stuff out of this blocks. Well, stepping on a lego is another story but I am not complaining.. it's part of growing up. LOL! As of now, the seating capacity is 35 to 40 given that all the seats are taken. I hope they would expand their area sooner because this place will have long lines in the coming days.. or months because of how cool their concept is! 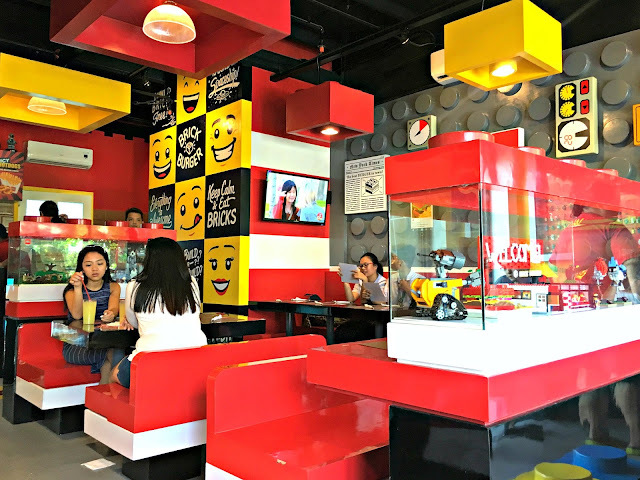 This is a great place for kids and kids at heart that loves legos and burgers! Instagram worthy too! 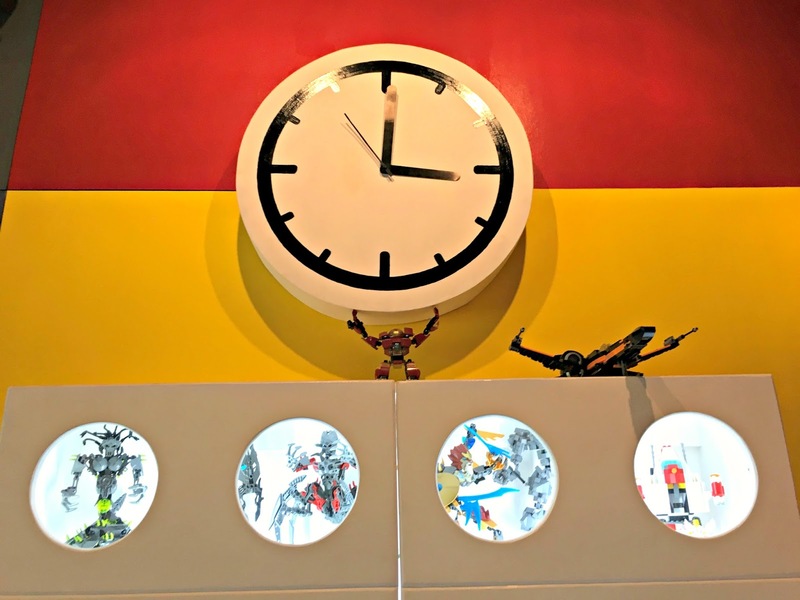 Look how nice is the wall clock. And... my favorite lego creations so far. Everything was customized as if the setting is here in the Philippines. There's BDO, Cebuana Lhuillier, and Andok's to name a few. I am always impressed with people who can make a majestic stuff out of legos. And of course.. the food! The food better not disappoint or else all these cool interiors will be for nothing if it can't live up to all the patronizer's taste buds. Unfortunately. even though I wanted to try all of the food they're serving, we don't have the appetite to do so. And since it's their soft opening, I guess it's understandable that some of the items in their menu are not available. Wanted to try their milkshake and onion rings pa naman but it's not available when we ate here. So on our first visit, we each ordered a burger. Boyfriend ordered Darth Vader. It has caramelized onions, mushrooms, bacon, sour cream, and bbq sauce. While me, on the other hand ordered Nacho Tuesday that has burger with lettuce, tomatoes, chilicon nachos, and cheese sauce. This is the menu during their soft opening. I'm not sure if they will still change or add more items but I do hope they do add more! Darth Vader. P250, add P45 for fries on the side. My boyfriend wouldn't agree with this but I actually liked the burger. I will choose this anytime, any day over some other burgers. Also.. just look at the lego looking burger bun. I thought at first that the bun might have a weird taste.. but no.. it's actually filling. Nacho Tuesday. P230, add 45 for fries on the side. This burger is the first one I ate that actually has nachos inside. In a reasonable amount of course! It's quite spicy.. perfect for someone who likes spicy foods like me! The chili con carne also added a different flavor to the burger making it unique. This proves that this burger joint isn't just for the looks and theme.. I am so relieved to know that they actually serve yummy burgers! If you're trying this burger joint soon.. you better come early as lines get long really fast. I am hoping that they expand their area and hopefully.. expand a new branch so people won't flock to this single branch that has a small seating capacity. As of now they're on their soft opening.. I don't know if they're planning on adding new stuff on their menu but I hope that if they're already in full operation.. they won't run out of stock for the food they're serving. My rating? 8/10. Will I come back? Definitely! 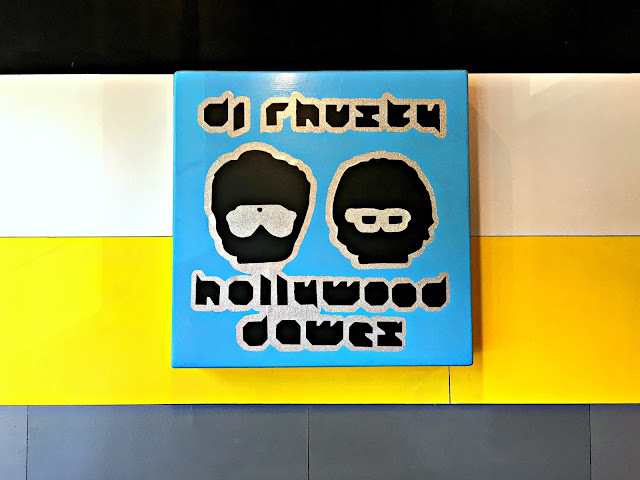 I will update this post and add new photos whenever we happen to eat here again. It's an A for effort on the theme and for being so on point. Indeed, everything is awesome! WOW! When I saw the title with the word brick, I was thinking bricks as in architectural design... So in some ways, yes, it is also the architectural design pero LEGO!!! WOW! 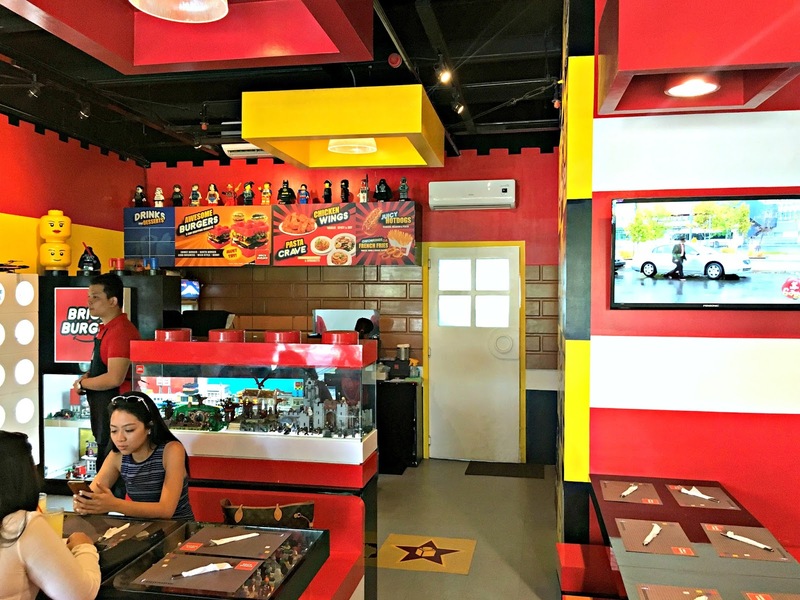 Concern ko lang is if the owner has permission to use the design for architecture and aesthetics ng food. Having said that, I would like to try the burgers. 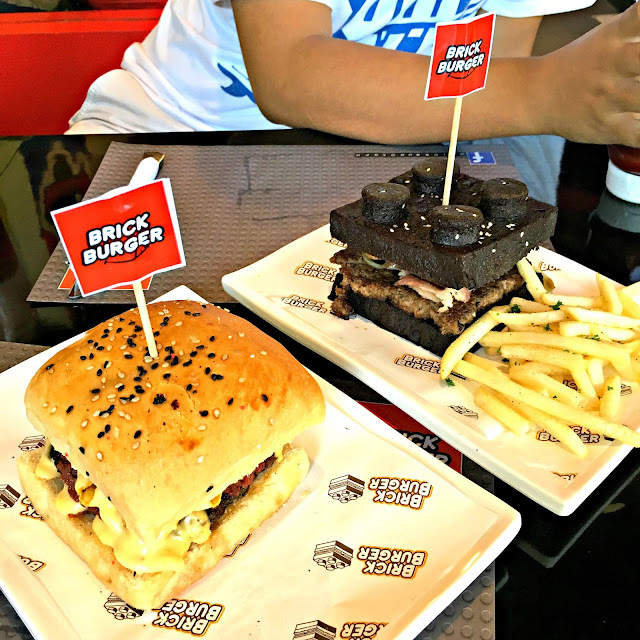 I may avoid eating burgers but there are times when I indulge and the closest burger places here are the usual fastfood na iwasan dapat eh. 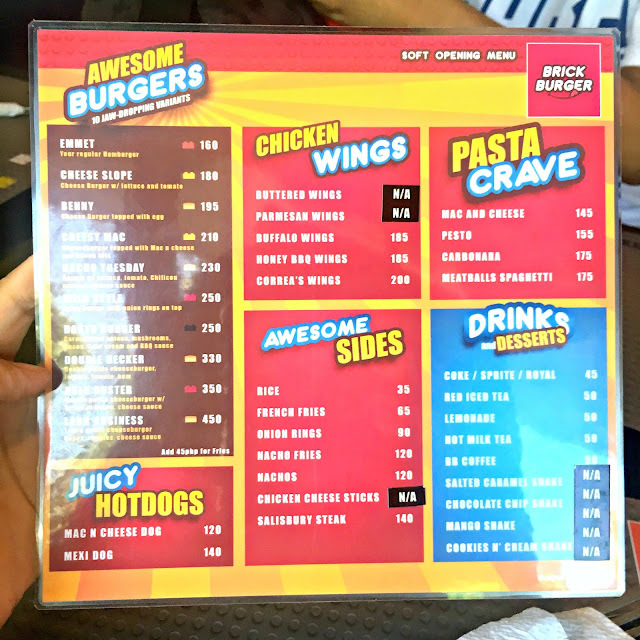 I actually think stand alone is better than the big chains and looking at the menu, the prices seem reasonable. So, you have it at 8/10... one day soon. I will. This is just so cute! I mean, legos and/or bricks for a restaurant? This is just unique. Tbh, this is the first time I've seen a restaurant with decorations like this. I do wonder the pesto if what's the extender? If it's chicken/shrimp/sausage? Hope you could tell me. I should visit this soon!!! I am from Pasig so it totally sold me in terms of convenience. 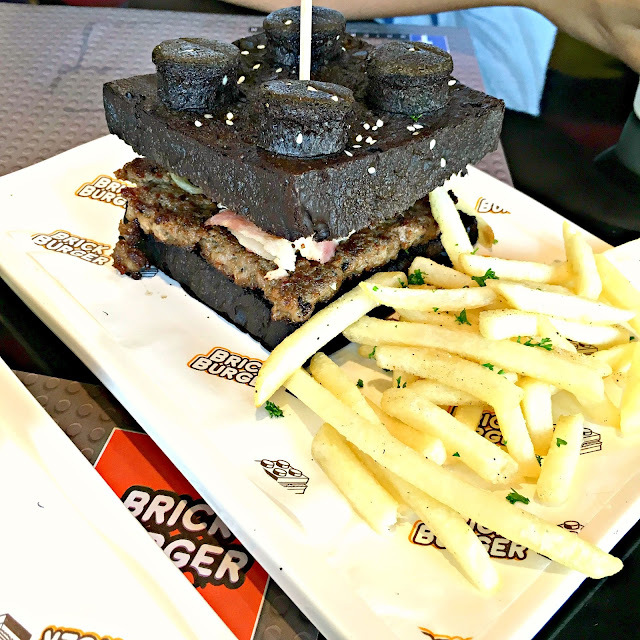 I am not really a burger fan but for the lego, I will go for it! The pasta offering and the rest in the menu are affordable so I can choose easily a meal or two. Wow! What a great concept!! I wanna visit this soon!! Hopefully when I pass by around Pasig. This is really a great post. Thank you for this. I honestly took note of the address. I want to bring my boys there. They will definitely love the place and they would surely hug and kiss mama for this. Wahoo. And i am just so excited. 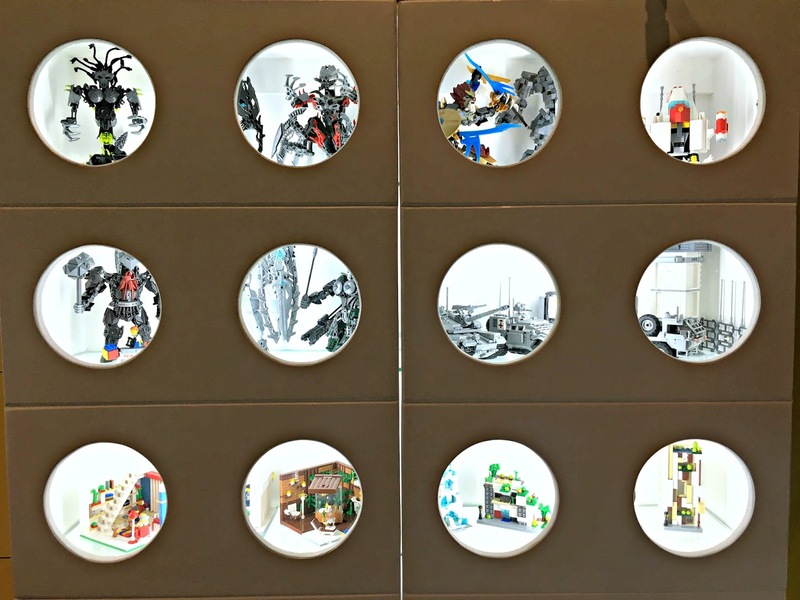 I learn to love lego because of the boys. They even have a starwars lego collection and some ninjago. Even though I don't eat burgers I have to give points to the originality. 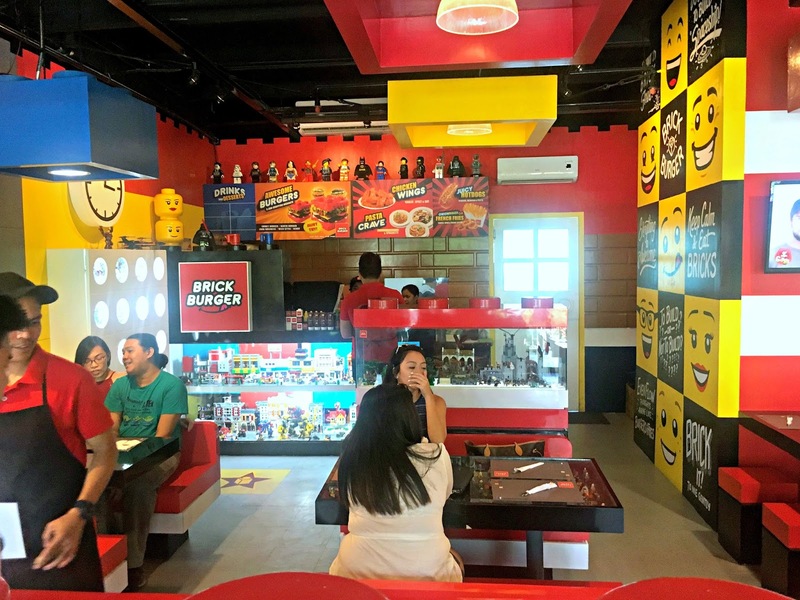 The Lego brick theme is super fun and the place looks awesome! My boys will surely love this place! They are Lego fans! haha Will bring them to this resto when we are in the area. It's quite far from our place though. Looks like a fun and quirky place. Such a catchy name too. The food don't look to shabby either. Will definitely check out when I'm in the area. First, I like the concept as far as I know this is the first of its kind in the country yet. Third, I think 8/10 is fair judgement. The price for me to to much but it seems to compensate in the ambiance just the same thought like you mate. What a cool concept for a place! 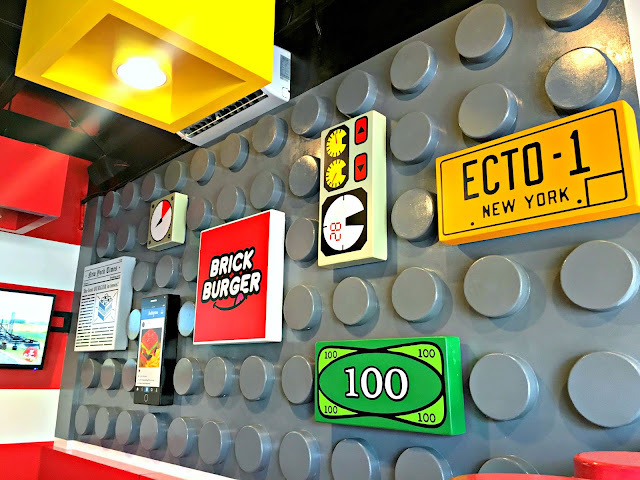 Such a cool and funky design :) I would love to visit there and try one of their burgers. You really captured the vision of the place with those pictures. Nice job. Omg! That's awesome! I would love to visit the restaurant! It looks like something a little kid would thoroughly enjoy. AH! Your so lucky to be able to live so close to a burger joint like this one. Lego fans would love to eat here! If only I live near pasig... Ugh, I really envy you now. I want to try there burgers so bad. Ugh! Haha. Thanks for sharing. my kids will love this place! i'd like to ask how to get there if i'm coming from c-5? whats the nearest landmark that i should look for? thanks! Hi Mary Grace! 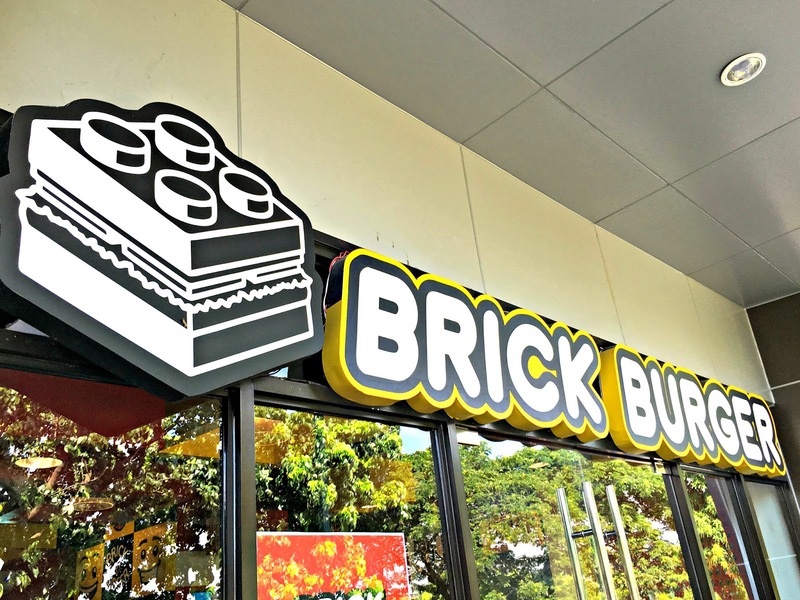 Sorry I don't how to get from C5 to Brick Burger. Landmark is Hampton Gardens Arcade along C. Raymundo.